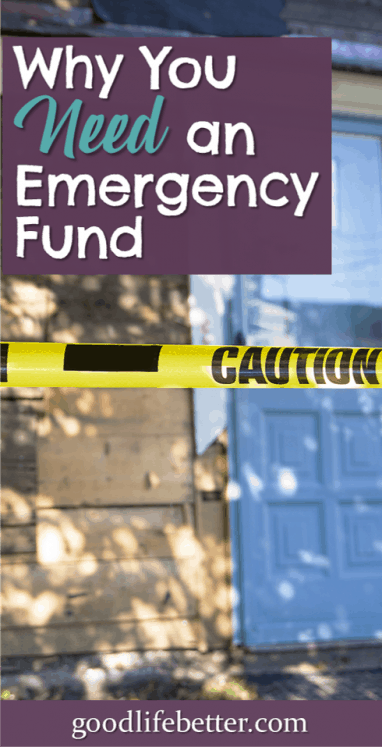 Why You Need an Emergency Fund | Good Life. Better. Financial emergencies can happen at any time, any where. I’ve known this for forever—as have you, I’m guessing. But knowing didn’t necessarily mean I had saved up money in an emergency fund. Now that I’m out of debt, I’m finally taking the importance of a having an emergency fund that I actually tap in case of an emergency seriously. Here’s why you should too, plus tips on building your emergency fund. Money likely won’t be the only thing you’ll need to solve whatever crisis you find yourself in. That said, I can’t imagine a situation where having too much money to throw at a problem would be be worse than not having enough. For example, I remember when a friend was diagnosed with a rare cancer and was treated at a hospital about 45 miles from her home. She had good insurance but the costs of driving back and forth plus parking fees charged by the hospital really started to add up. The money we raised to cover these costs didn’t send her into remission but it did take one worry off of her plate (and I’m happy to report she is still in remission today!). 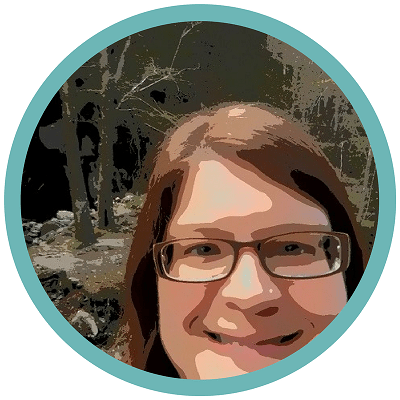 This post over on Money Manifesto offers another great example. When the author found himself in the direct path of Hurricane Michael, there were no money worries as he and his family evacuated to a hotel about an hour away and out of danger. I’ve always had good credit—that’s never been an issue. But having good credit meant I had no incentive to save up money in an emergency fund because if something bad happened, I could just whip out my card. The problem is that this is not free money. When my mom died, I was 26 making around $22,000 a year and living on the other side of the country. As her executor, I needed to pay the bills and fly back to the east coast several times to start the probate process. I knew once I could access her accounts and file life insurance claims I could get reimbursed for these costs but it took about two months for this to happen. In the mean time, I relied on my credit cards. A lot. You know those balance transfer checks you get in the mail? I was using them to pay her mortgage as well as other costs that needed to be covered right away (fortunately, she had prepaid her funeral). I estimate that I probably spent about $250 on just interest and fees in those first weeks after she died. It was my only option because I didn’t have an emergency fund (if I hadn’t had access to credit, I have no idea what I would have done). 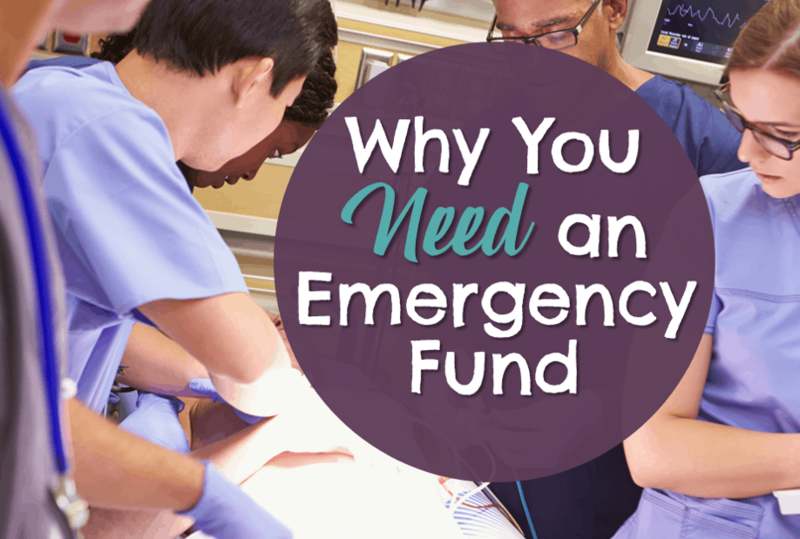 If it seems to you like no one can agree on how much you should have in your emergency fund, you are not alone. Ask seven personal finance experts what they recommend and you will likely get seven different recommendations. 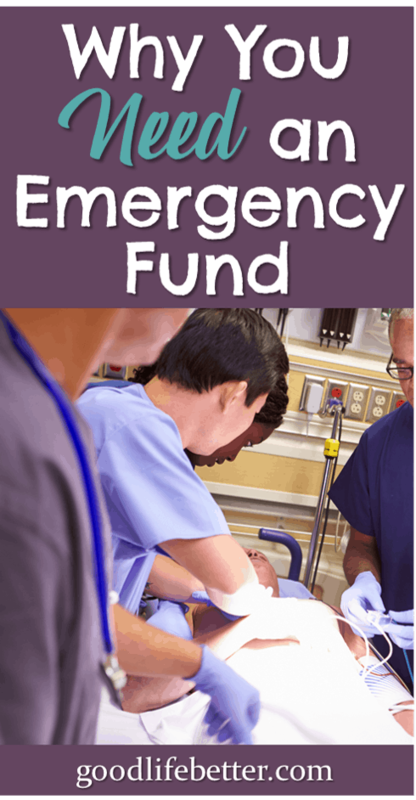 I think the amount you need in your emergency fund should be based on what could go wrong in your life. A good rule of thumb is to have saved at least three months of expenses, including rent/mortgage, utilities, loan payments, and food. If you feel you have a high risk of losing your job, or if you have a job where your income fluctuates, having six months saved instead of three would be even better. This money means you will have a little breathing room in the event you are let go, so you won’t have to take the first job you are offered. The calculation doesn’t stop there, however. If you do lose your job and you want to continue your health insurance while you look for a new one (which I highly recommend–do not go uninsured! ), you will need additional money to cover the cost of your premium, both your portion and the portion your employer had been paying (plus a possible fee). You can likely find out what this amount is by looking at your pay stub. What ever it is, do the math and factor it in to your savings goal. Finally, it’s a good idea to factor in automobile and home owner/renter insurance deductibles. The news is filled with stories of people who are forced to temporarily vacate their home due to, for example, a fire or a hurricane. If your home insurance deductible is $2,500, just think how much less stressful your life will be if you have three to six months of expenses saved plus your insurance deductible sitting in an easily accessible savings account. For years, I told myself I had an emergency fund because I could withdraw the contributions I’d made to my Roth IRA without having to pay taxes or a penalty. The problem was I never did it: it was easier to see my credit card balance go up than it was to see my retirement account balance go down. This reluctance cost me a lot of money because the amount I paid in interest on those charges was so much more than I earned on those investments. Now, my plan is to stash my emergency fund in a high interest savings account (I have an account with Capital One but when your are ready, just search for high yield savings account to find the best deal). Eventually, I may decide to keep only one to two months in the account and put the rest in Certificates of Deposit (CDs) which could allow me to earn just a bit more interest on that portion while still being able to access the money quickly. I’ll let you know if I do—right now, I still need to save up the money! So you’ve done your calculations and the total is what seems like an astronomical sum you will never be able to put aside. You laugh, shake your head, and close out of the excel file without saving it or throw the piece of paper into the trash. Don’t! I don’t care if the maximum you can save right now is just $50 a month (or less! ), you need to start today. At the end of the year, having saved $50 a month you will have an emergency fund with $600 in it, which is $600 more than you would’ve saved if you had never started. Your progress may be slow but any progress is a win. Dave Ramsey talks a lot about the positive psychological affect of just having a $1,000 emergency fund in the bank and I believe it. If that’s all you can aim for right now, that’s okay. Sorry to keep harping on this but it’s so important: when an emergency happens, it’s okay to use the money you have saved in this fund. If you want to use your credit card so you can get travel reward points and then use money from your emergency fund to pay off the balance that may be okay but only if you can stay disciplined. When I was getting out of debt, I stopped using my credit cards because I knew how easy it was for me to “forget” a purchase. Continuing to use my credit cards was too risky because it was just too easy to overspend. If you are like me and are still building your emergency fund that is okay. But, now that you know the amount you should aim for and how and where to save it, it’s time to get to work. Let me know how you are going to make it happen in the comment section below!